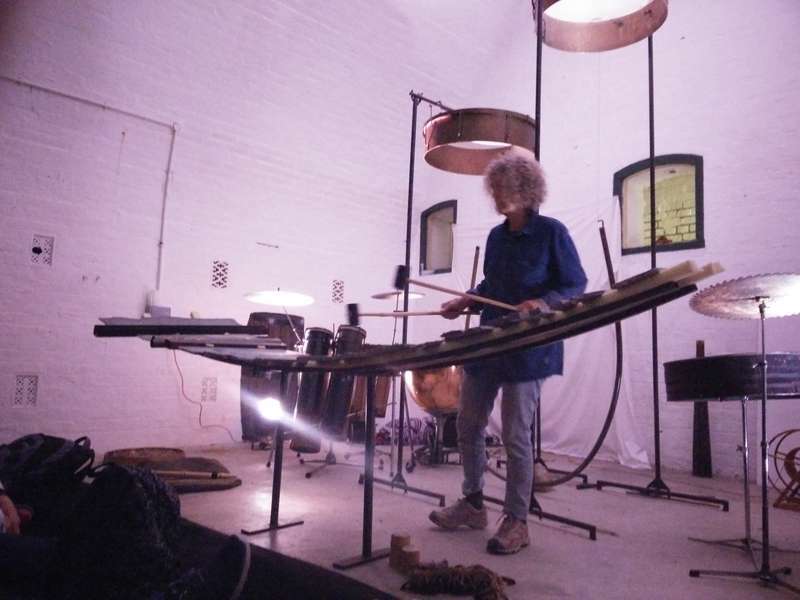 "I invite the participants to play my instruments – 2 pendelstrings, Serpentinit stone row, 6 tube drums, soprano kettledrum and small percussion pieces – and they can bring their own instruments. First I show possibilities of playing with the different tools and after a period of trying – everyone is allowed to – starts the “playing or listening” :Only three are playing, the others are listening. When all have played in different combinations, we decide how to go on. It is important to stay simple, so that the instruments are treated with love and the skill of ones hands is not overstrained It has to be in balance between chaos and order. When surety of handling the tools and precision of listening is growing, starts nonverbal communication with music." Lauri Hyvärinen posted the initial proposal on 02 April 2018 21:12.
hyksos pledged 101ᵽ to this proposal. Ava Grayson pledged 100ᵽ to this proposal. stephenstamper pledged 114ᵽ to this proposal. scottandreweliott pledged 70ᵽ to this proposal. Matti Luokkanen pledged 45ᵽ to this proposal. The event Workshop by Limpe Fuchs was scheduled by Lauri Hyvärinen at 13 May 2018 23:37. RSVP for Workshop by Limpe Fuchs made at 13 May 2018 23:39. RSVP for Workshop by Limpe Fuchs made at 14 May 2018 07:18. RSVP for Workshop by Limpe Fuchs made at 20 May 2018 20:52. Workshop limited to 10 attendants. Please register to join! Entrance fee changed to 5/3€ because of misinformation elsewhere... So it's even cheaper – even better!